You never know how something is going to come out when baking. You hope that it comes out the right way and is delicious. This recipe didn’t come out the way I imagined it to. It came out better, and really looks like a Christmas Cake! Plus it is the easiest recipe. 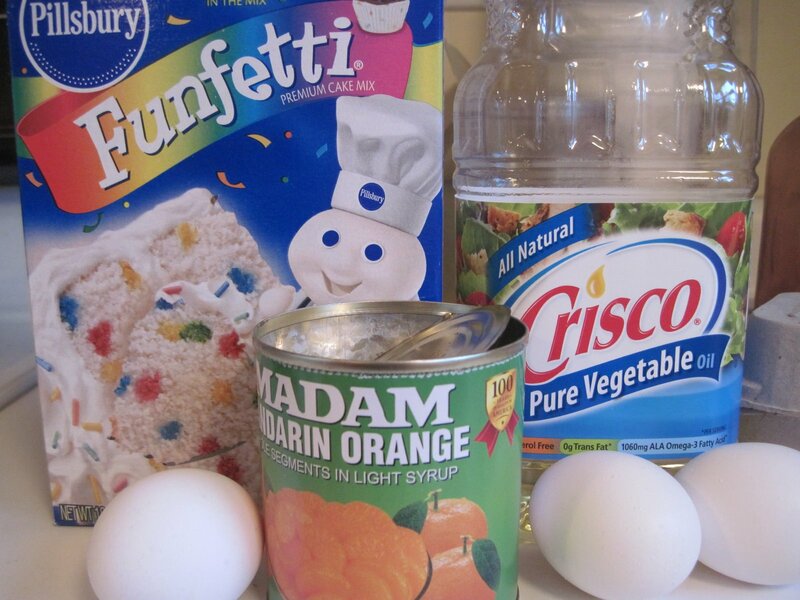 Here are the ingredients for the cake. Plus I used a beautiful Rose Non Stick Bundt baking pan- so pretty! 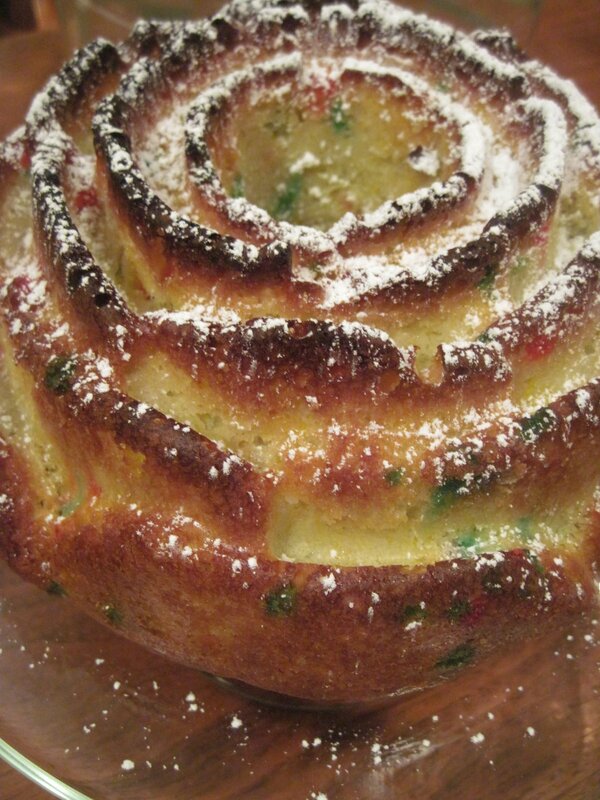 After the cake is completely cool, dust the cake with Confectioner’s sugar- it gives it the festive Christmas look! 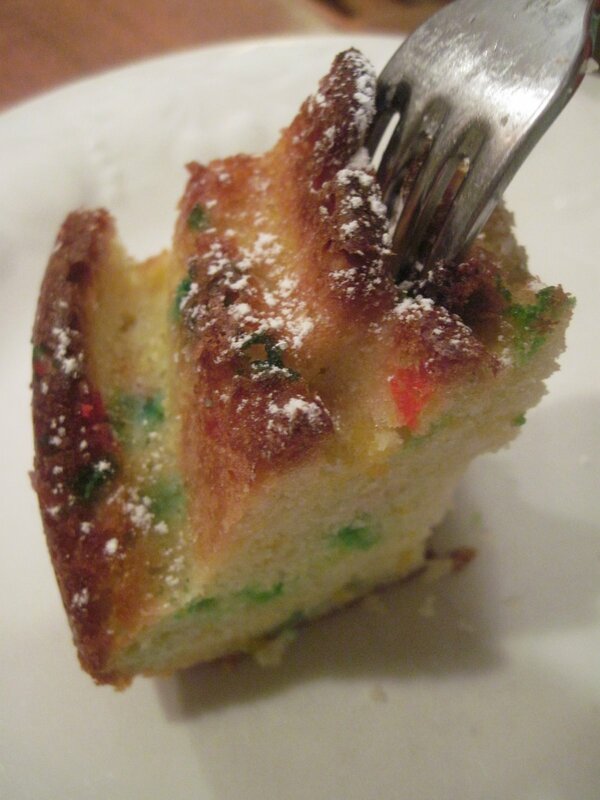 Blend cake mix, water, oil, eggs and oranges in a large bowl until moistened. Beat with a mixer on medium speed for 2 minutes or whisk by hand for 2 minutes. 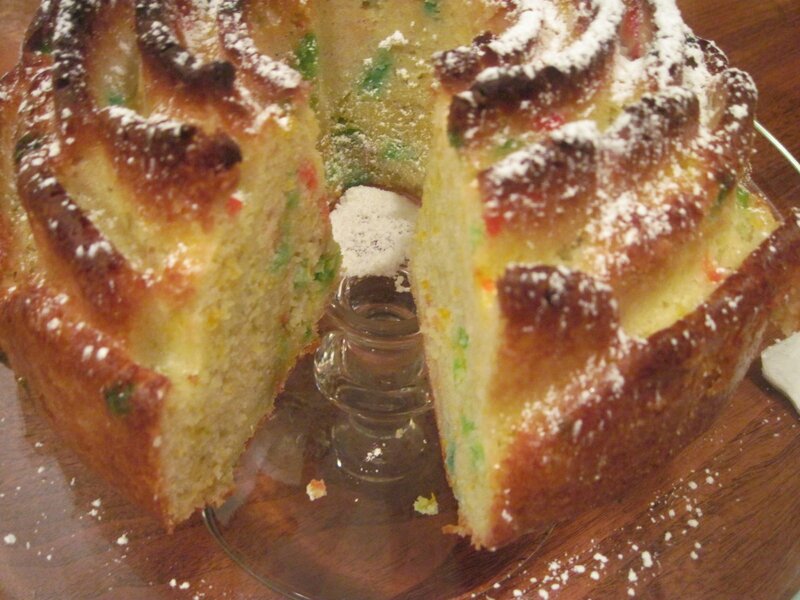 Pour batter into Non Stick Bundt pan or a greased pan. 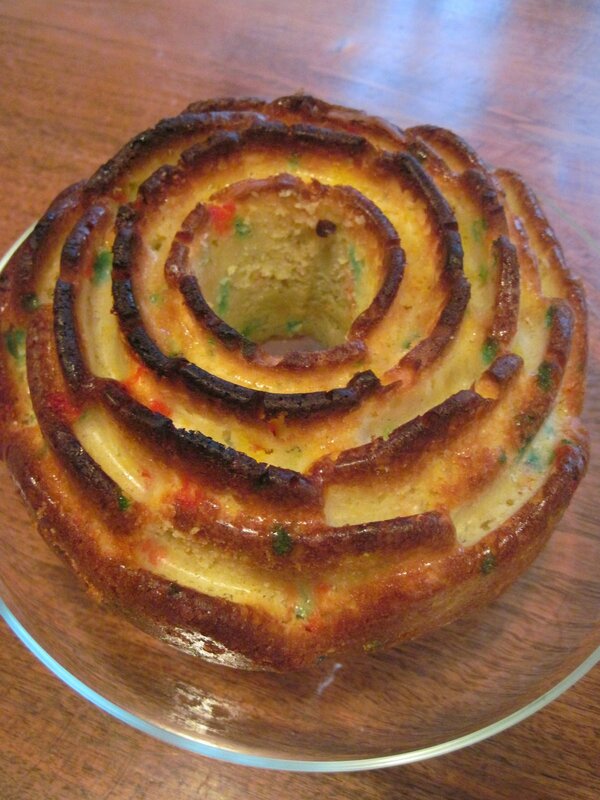 Bake at 350 degrees for 37-41 minutes or when a toothpick inserted in the center comes out clean, your cake is done. Cool cake for 10-15 minutes before removing from pan. Dust cake with confectioners sugar for a Christmas effect. This post has been linked up to these wonderful blogs! Cool idea with the manderin oranges… 🙂 No recipe needed! Mmmm what is this yummy looking cake? Do you have a recipe for it Nettie? I actually have a Funfetti cake mix but no mandarin oranges. 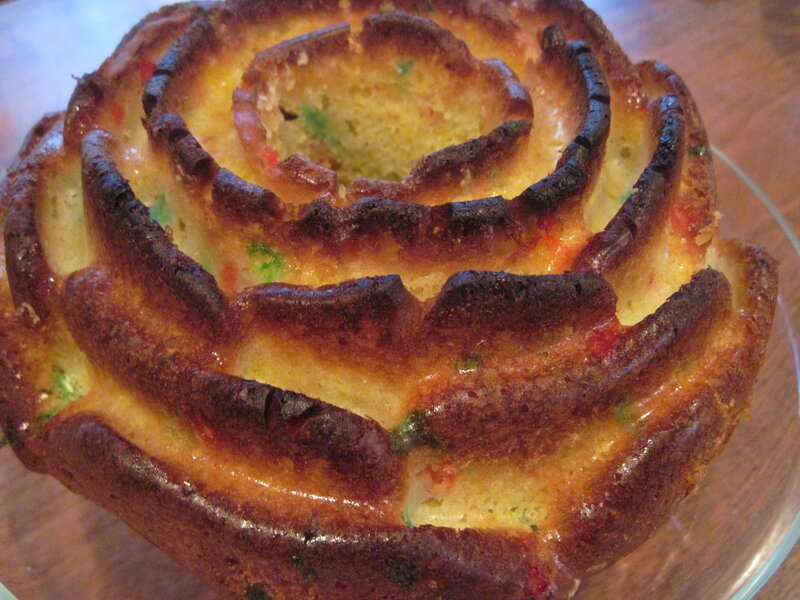 What kind of pan did you use – a bundt with a rose effect? So, so pretty! Thanks for the recipe Nettie!! I have to try this! But first I need to score that pan! Do you drain the oranges or include the liquid?